Our USB charger gives you the freedom to charge your BO One anywhere you want — your home, your computer or your car. The 70 cm cable even let you vape while charging. Longueur largement suffisante pour mon utilisation, et le cable semble robuste. Everything you need to elevate the Bō experience. 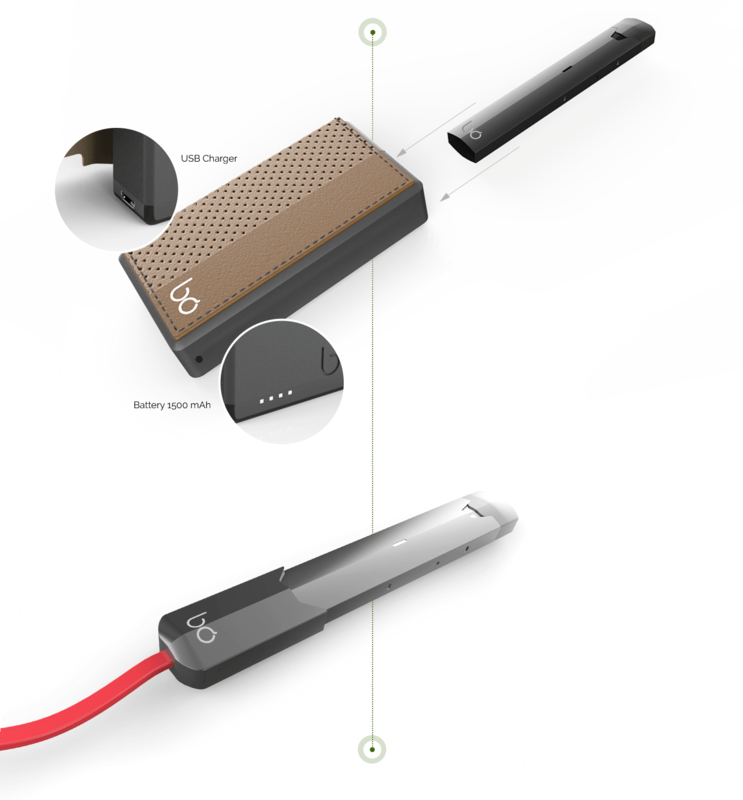 This portable power station can charge your Bō up to 4 times on a single charge. 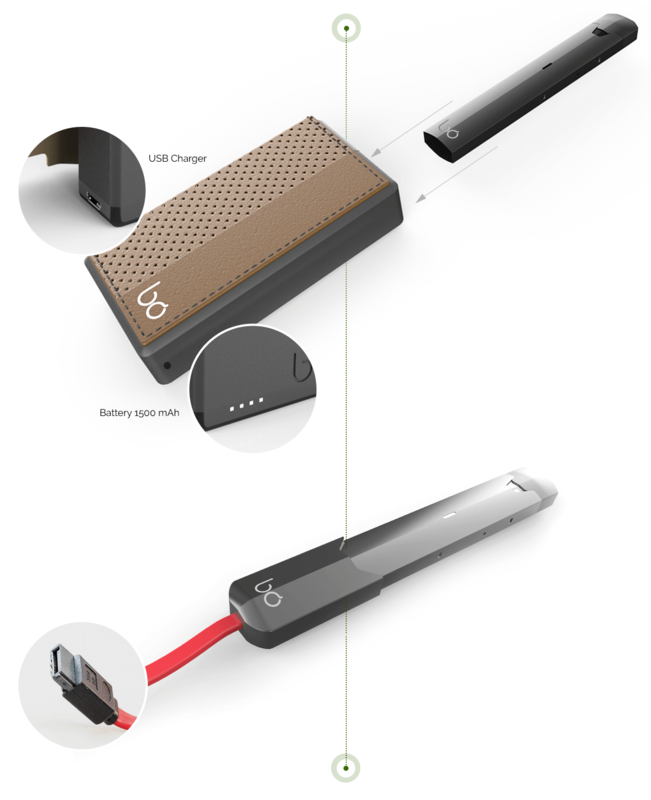 Keep your device safe with a power pack that gives you complete freedom on the go. The perfect accessory to bring maximum vaping freedom. 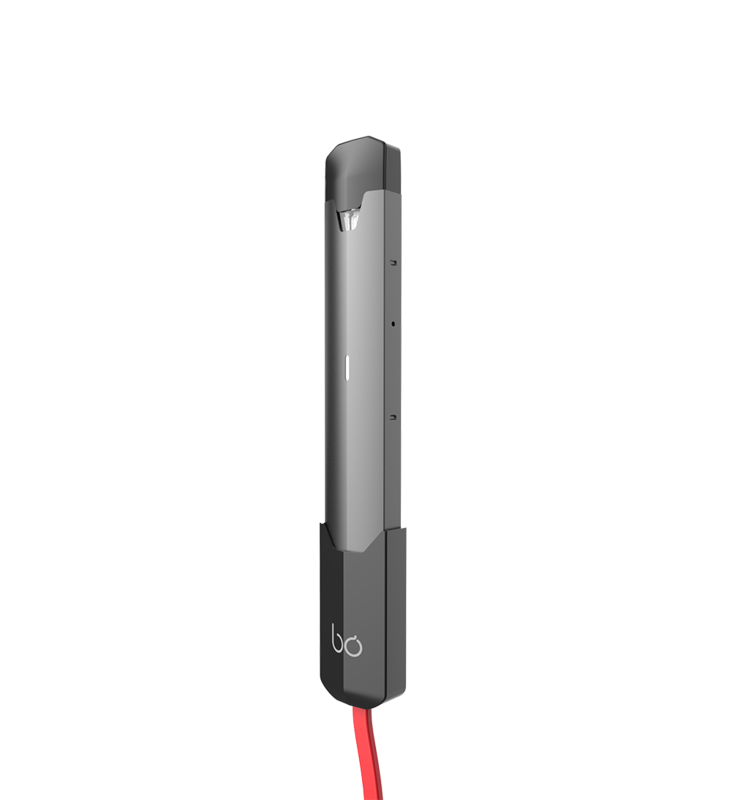 This USB charger allows you to charge your device anywhere, whilst its convenient 70cm cord allows you to continue to vape whilst charging.